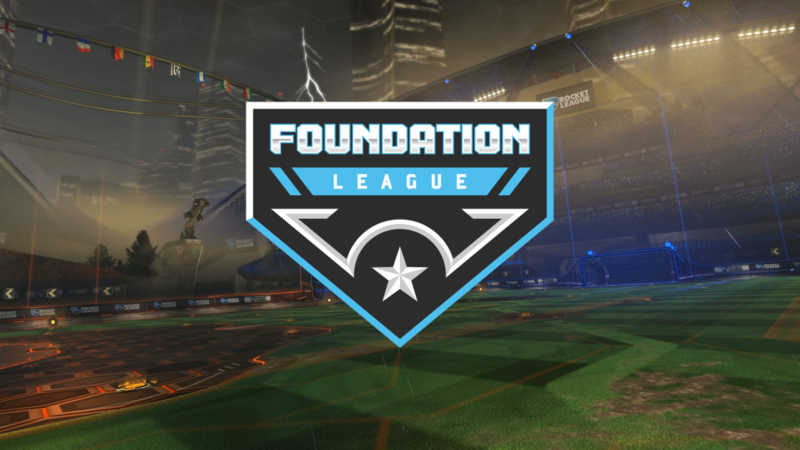 Week 1 is now officially in the books for the inaugural season of Foundation League, and boy oh boy was it entertaining! As the players begin preparing for next week, let us take a look at where all that action left us. The Sabres pulled an impressive 3-2 upset over top-ranked Outlaws on Thursday, taking the series all the way to game five before emerging victorious. While the Outlaws kept it close throughout, in the end, it just was not enough to prevent the onslaught of goals from TourneyEarnie, who ended up scoring a blistering twelve goals. Sabres go into week two against the Pirates with massive momentum, while the Outlaws will be looking for blood next week against the Knights. The Blizzard entered their game against Shadow ranked #4 in the power rankings, and they proved why. With a 5-0 sweep against Shadow, Blizzard showed that their offense is one to be feared by the rest of the league. With a combined 34 goals and 19 assists between them, Adi and CaliforniaStoll put their teamwork on full display. Shadow will be looking to bounce back in week 2 against the Hawks, while Blizzard will attempt to keep the ball rolling against Lightning. Eclipse began the season strong with a 4-1 win over the Aviators on Friday. The Aviators defense was on point, netting 17 saves, but when your opponent takes nearly 40 shots on goal it is impossible to save them all. Aviators need to keep that defensive prowess next week when they play Express, while Eclipse will be hoping to stay consistent when they go up against the Puffins. In the age-old question of who would win, Pirates vs. Knights, the Pirates made a decisive statement on the matter when they beat the Knights 4-1 on Saturday. Forgiiv and hellyaman combined for 24 goals and 8 saves, taking most of their games with large margins. The Knights will be looking to take the chemistry that worked in their only win in Game 4 and funnel that into their gameplay for week 2 against the Outlaws. The Pirates look to extend their winning ways next week against the Sabres. After the third game of Express vs. the Hawks, it seemed like a menacing 5-0 was looming over the horizon for Express. Something must have kicked in at that moment for quinestupapa and InsaneRossi13, as they proceeded to outscore the Hawks 11-3 in the final two games of the series. A strong finish salvaged some games for them, but the series had already been decided in the 3-2 win for the Hawks. Maybe Express can keep that attacking fire we saw in the second half of that series next week when they go against the Aviators. Meanwhile, the Hawks will be looking at what went right in the first half, versus what went wrong at the end as they prepare to take on Shadow. The Bears and the Rhinos came to play on Sunday, taking the series all the way to Game 5. After a hotly contested match, though, the Bears emerged victorious in their 3-2 win over the Rhinos. The Bears look to take this momentum into week 2 when they face the Demolition; while the Rhinos will be recalibrating to take on their next opponent, the Wizards. The Wizards were outright dominant this week against the Demolition, outscoring them 23-10 on Sunday in their 4-1 victory. Scoring five goals a game in every match except one, the Wizards offensive capabilities were in full force. Demolition showed sparks of some offensive flair, but in the end, it was snuffed out by the flood of goals from the Wizards. Demolition look to take out their frustration on the Bears next week, while the Wizards look to continue their rampage against the Rhinos. The Lightning showed on Sunday that they are here to win, and win convincingly. In their 5-0 sweep over the Puffins, only one game even came close. Eclair and SammyNieds18 showed that they are one of the teams to best, netting 19 goals evenly between them. They will be looking to remain undefeated next week when they take on the undefeated Blizzard. Meanwhile, the Puffins will need to regroup and focus on their next target, Eclipse. That is it for this week folks! The power rankings will be shaken for sure, and the season is only just getting started! Join back with me next week to take a look at the carnage from week 2, as we begin to see who the contenders for playoffs are, and who is getting left behind!